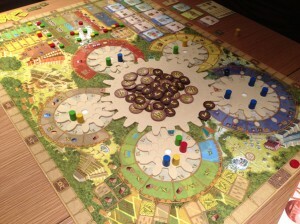 Tzolk’in is a worker placement game with a difference. In this Mayan-themed game, players have around 26 turns in which to impress the gods the most, i.e. earn the most victory points (VPs). Well, Spiel is over for yet another year. I managed to play 23 games this year over the 3 days I was there. Usually, I expect to play some games that don’t live up to expectations but this year it was great that there were only a couple that didn’t tick the boxes for me. I’m always pleased to see how games still find ways to deliver new ideas and innovative designs and these were in evidence this year as usual. This year also continued to prove that, no matter your research beforehand, there are always games you will discover that are pleasant surprises. Kolejka was definitely the most pleasant surprise out of the games I played, and cheap too. With so many games to review from Spiel, I have added a poll on the right-hand side where you can vote for which review you would like to see first – the list is a sub-set of the 23 games I played. I will do my best to review the most popular first and I will update the options with more games when I add reviews. If there are other games not listed you would like reviewed with greater priority, please add them in the comments for this post. Spiel starts in just a few days. You’d think it would feel less special each time but this is my seventh year and it’s always exciting stuff. 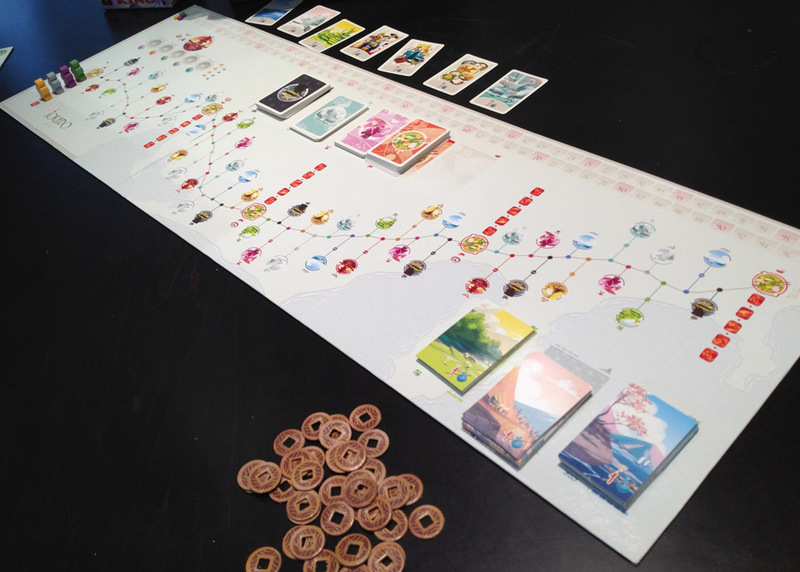 Like last year, I shall be tweeting with some images about what I am playing and see at Spiel. I won’t be trying to review games via Twitter as 140 characters is just not enough in which to do a game justice. So, I will be sharing my general impressions about games, which ones have impressed me, etc. Of course, I shall review games in full once I return from Spiel. 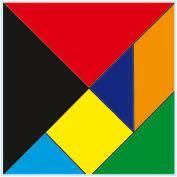 If you’re not following the Metagames twitter, please join the 800 others and follow it now. The original Shadows Over Camelot was an excellent semi co-op game that you could get fairly light gamers to play. The new card game version sounds intriguing as it has many of the same elements but a different core game mechanic. Similar to the board game, it’s co-operative but there may be a traitor. Each turn a player can turn over a card from the deck – many are rumours about the different quests (with icons showing the strength of the rumour) and there are other cards that affect gameplay like players not being allowed to communicate. These cards get added to the ‘threat’ pile. Instead of drawing a new card, a player can choose one of the quest icons on the previously drawn card and go on that quest. This means they sort out the threat pile into the separate quests and activate any Merlin and Morgana cards which can help or hinder the questing player. If the total number of rumour icons for the chosen quest is 11, 12 or 13 then the player succeeds and one of the 7 white swords required to win is gained (otherwise, they gain one of the 7 black swords which will lose the game). However, the rumour icons on the other quests are also added up too and can result in black swords if there are 14+ of their rumour icons. So, it’s a sort of push-your-luck game (with players trying to remember how many icons of each quest have gone past and what other cards are in there too). Like the original game, players can also accuse each other of being a traitor too. What’s Your Game have published some great games in the past (like Vinhos and one of my favourite worker placement games Vasco de Gama). After releasing no new games last year, it’s great to see they have two this year. Asgard is a viking-themed, worker placement game where players place workers (influence) on different locations (gods) with lots of options and interesting decisions. The worker placement is interesting as players secretly select on which gods they will place workers, then take turns revealing one location and placing a worker (which sets the specific action for that god), and then take turns using each worker (and some get benefits for being the first one used on that god). There’s a lot more to it too. For more detailed info, check out my full On The Radar: Asgard piece for more info. Sounds really interesting. Oddville looks like it will contain an interesting mix of tile laying to build a city and using cards to gain resources. Each card can only be used for one of its three uses – cash, resources or buildings – I always like multi-use cards in a game. When players build a building, they place it to expand the city and gain bonuses including gaining characters which give special abilities. 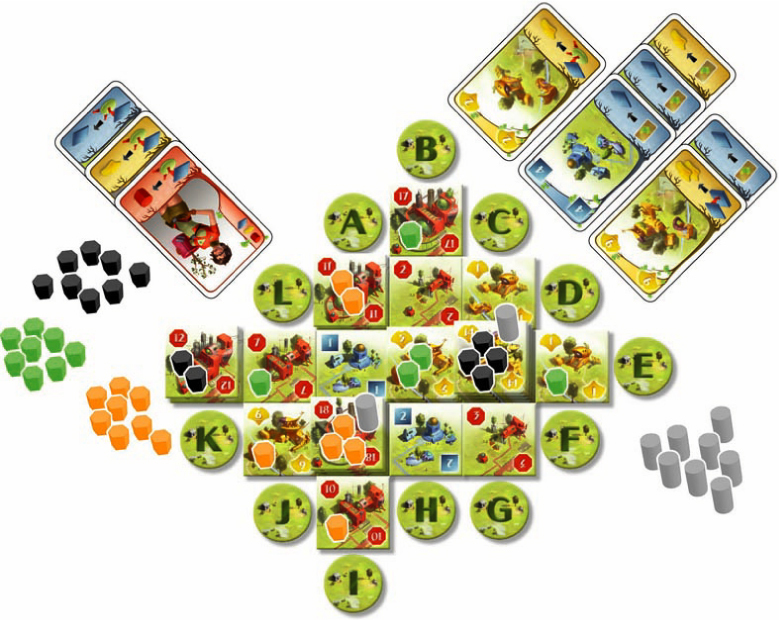 At the end of the game, VPs are scored for the buildings each player built (they all score in different ways), characters and remaining resources. There are some other nice sounding game mechanics too like the way the players pay for resources by putting their worker on one of the limited market prices which determines how much it costs and shows they have that resource until they spend it to build a building. Also, when obtaining a building, the card shows which of the buildings on display are free and which will cost money. 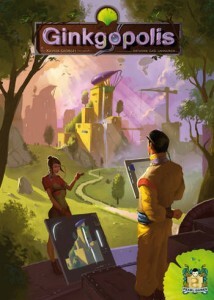 So, it sounds like a very interesting and clever eurogame. For more detailed info, check out my full On The Radar: Oddville piece for more info.